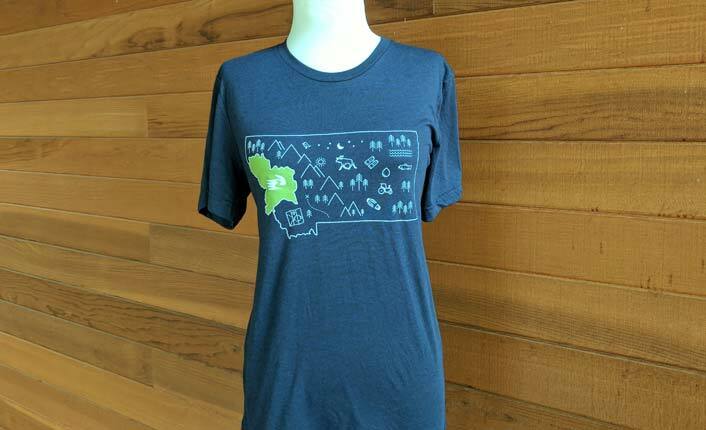 Support conservation in western Montana, and look good doing it! Looking for the perfect gift? 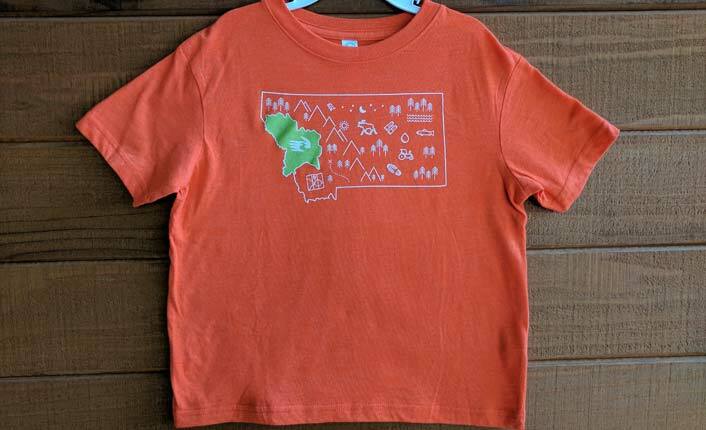 Five Valleys has tee shirts for the whole family: Unisex adult, youth and toddler sizes available. 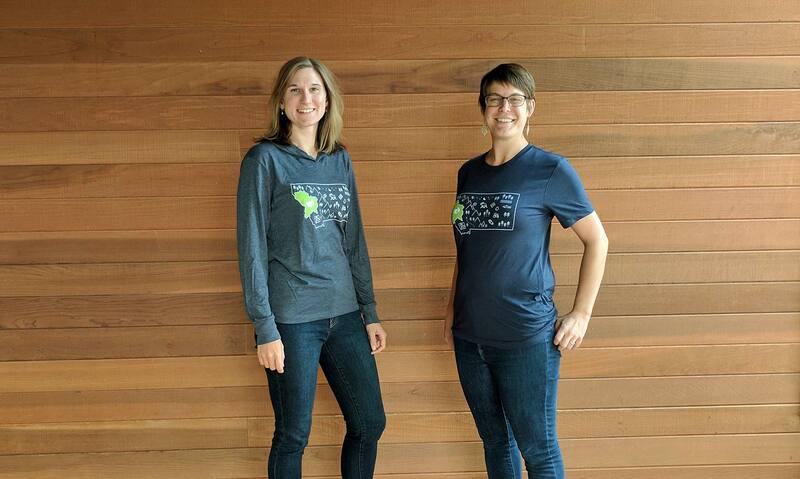 These soft, comfy shirts are sure to be your next favorite tee! 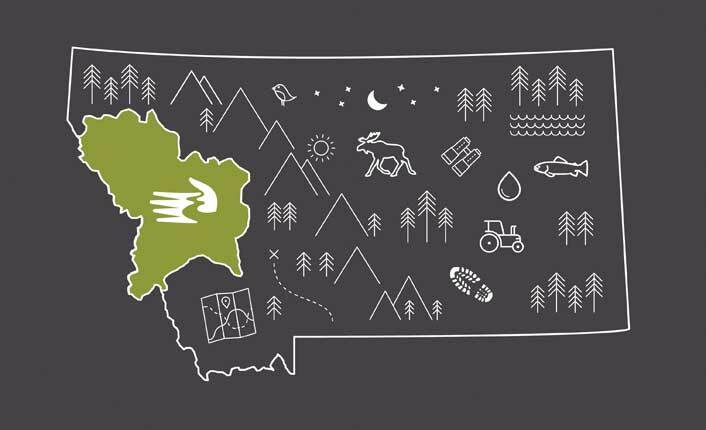 All styles feature a graphic of Montana and our service area on the front and a list of some of our most well-known public projects on the back. 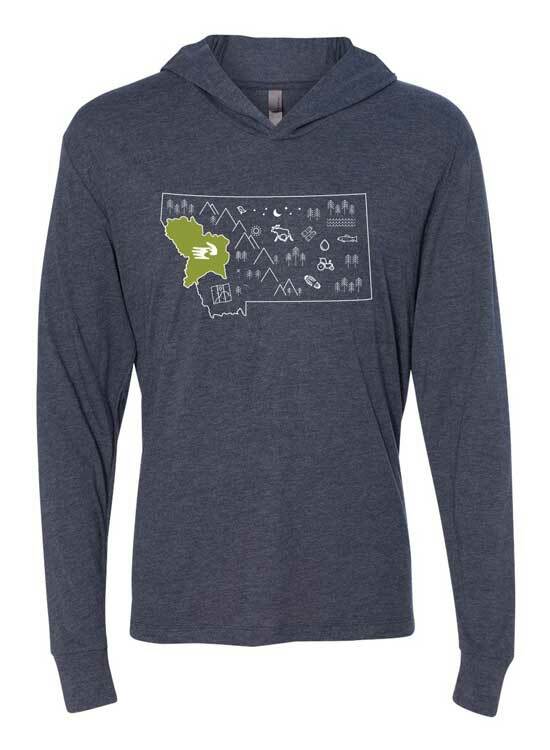 We love the Montana graphic that Hailey Faust designed for the front of our shirts! The back of each shirt lists some of our signature conservation projects. 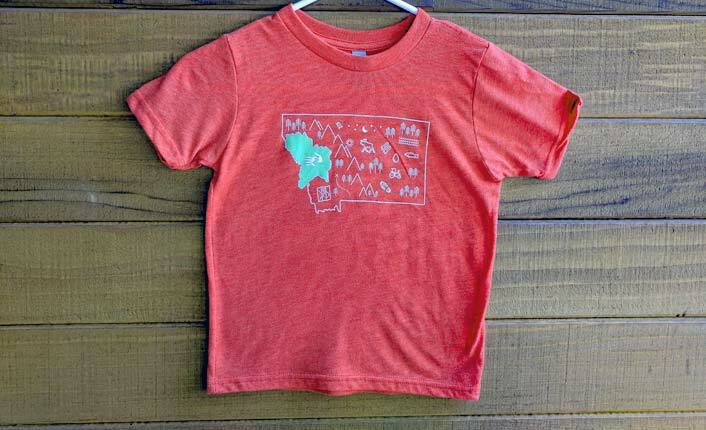 Adult short sleeve. Comes in navy. Unisex sizes XS - XXL. $20. 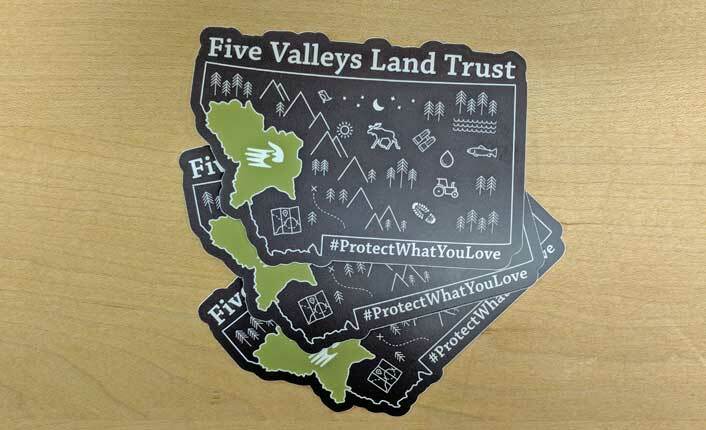 Our 4" x 3" stickers feature our Montana map graphic and are only $1 each. 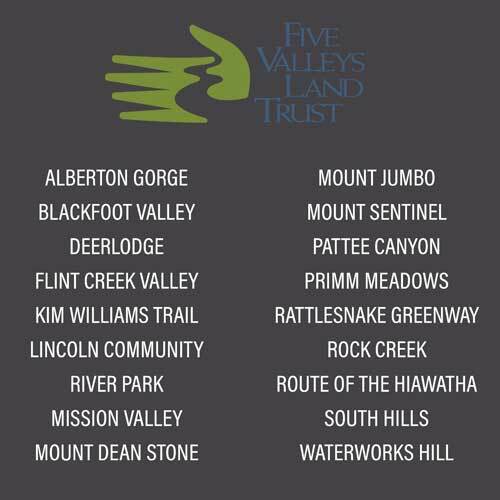 To pick up your new Five Valleys merch, stop by the Five Valleys office or arrange for shipping by calling 406.549.0755. Photos by Five Valleys staff. Design by Hailey Faust.